People have been asking what colors are my favorites to use in my cookie decorating. I know there are others out there, but the brands I’ve used are Wilton, AmeriColor, and Pro Gel in my royal icing, and I think they are all great. 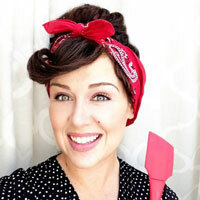 (I DO prefer to paint with Wilton and you can click here to read all about that). I LOVE color! I love how slight tweaks to them can create completely different moods and how some combinations make my heart flutter! That being said, there are a few colors to which I am particularly partial… and by “partial” I mean I want to make out with them. Is there anything better than Wilton teal…except maybe Juniper? Or how Americolor Electric Green can energize the darkest green? So, here are my favorite food colors – in rainbow order! What’s a chart of colors without a visual aid? All of the colors are shown mixed with royal icing, but are only tinted with the one shade stated. I also wanted to show the range of the color by showing a schmear with a little color added and then a more concentrated sample. The only sample that is a mixture of two colors is the Wilton Violet and the Americolor Violet. 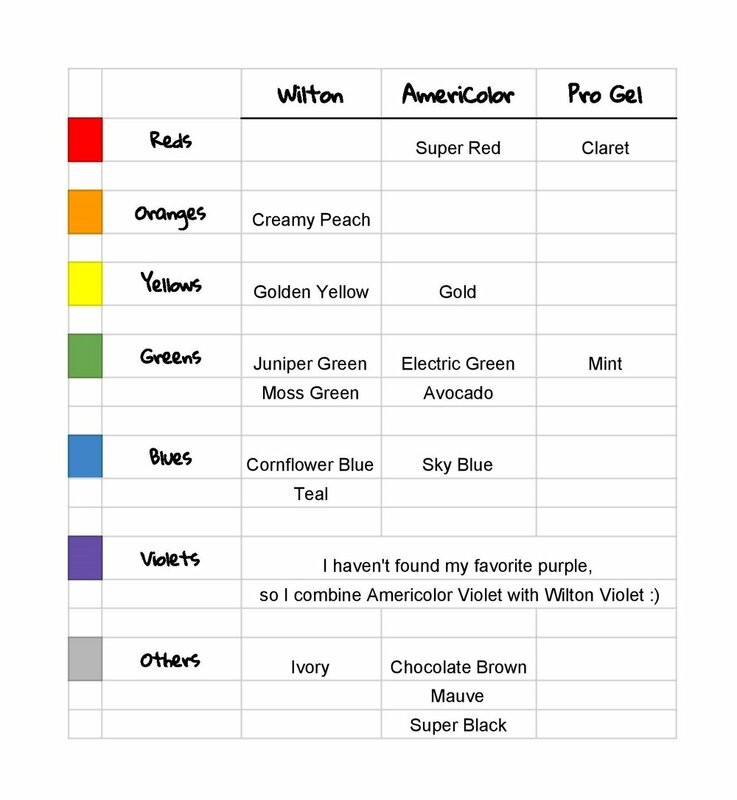 I know the perfect purple is out there (I’ve only tried these two) and I find the Wilton violet tends to be on the pink side and the Americolor Violet leans towards the blue, so until I find the perfect purple, I mix the two. What are your must have colors? What are your favorite combinations? The Go Bo! Bake Sale is coming up!